One can reach Lakshadweep either by flight or by ship. The nearest airport to Lakshadweep (Agatti airport) is Kochi airport in Kerala. 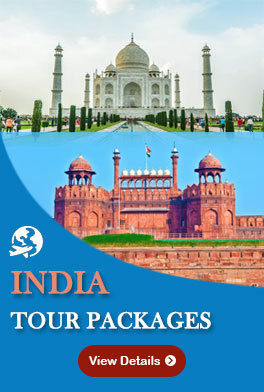 One can also travel to Lakshadweep by ship from Kochi on a Cruise ship Package. Air India operates a daily flight to Agatti Aerodrome. Agatti Island serves as a gateway to Lakshadweep union territory. The airport located in the island is the sole airport in Lakshadweep. It operates direct flights from Kochi and Bangalore. 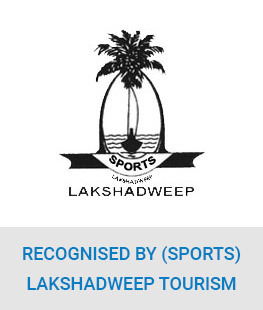 It is the only connected airport to Lakshadweep at the moment. Time taken to reach Agatti from Kochi (Cochin) by flight is one hour and 20 minutes. Tourists from other countries must first travel to Kochi and then catch a connecting flight to Lakshadweep. From Agatti, you may visit Kavaratti, Kadmat, Thinnakara or Bangaram on islands by boat. Cruise is an accessible mode of transport for those who wish to go to the Lakshadweep archipelago. The fascinating group of about 1 lakh islands, located in the placid waters of the Arabian Sea. One can board a cruise to Lakshadweep from Kochi, Beypore, Mangalore, Mumbai, and Goa. A cruise to Lakshadweep from Kochi takes anything between 14 and 20 hours. A cruise trip to Lakshadweep includes a visit to some of the most popular islands in Lakshadweep. This include Minicoy, Kavaratti, Kalpeni, and Kadmat. Each of these islands has its own specialty. A number of government-run cruises to Lakshadweep operate from Kochi. These ships can accommodate more than 650 passengers. They are comfortable and provide a variety of rooms. These include First class rooms with 2-berth cabins, Second-class rooms with 4-berth cabins, and AC tourist-class rooms with seating arrangements. These ships are provided with basic facilities, such as cafeteria, snack bars, lounge, and video shows. Medical facilities with doctor-on-call are also provided. Ships that cruise to Lakshadweep from Kochi : Lakshadweep Sea ship, MV Tipu Sultan, MV Kavaratti, Arabian Sea ship, MV Bharat Seema, and MV Amindivi, M.V.Dweep Setu is exclusively operating from Beypore Port to Lakshadweep islands.